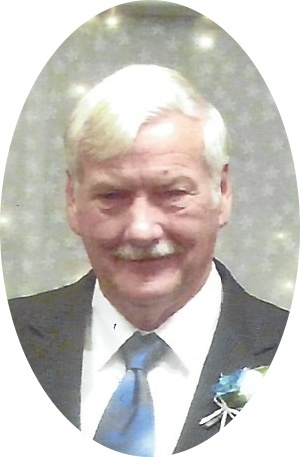 Mr. Gary Taylor Moore, age 69, husband of Darla, of Orlando, KY, passed away Friday, February 1, 2019. He was born on June 28, 1949, a son of the late Evelyn Hall and the late Taylor Jones, in Morgan, Ky. He was united in marriage to his wife Darla Reams, on November 3, 2012. He proudly served his country through the United States Army for several years. He enjoyed dancing, shopping at flea markets, and playing the card game Euchre. Those left to celebrate his wife: Darla Reams Moore of Orlando, KY; his children: Randy Moore of Dry Ridge, KY, Jeff Moore of Lincroft, NJ, and Kelly Moore Burdine, of Charleston, SC; his grandchildren: Tori Danielle Moore, Maranda Aspen Moore, and Amanda Rae Moore; his brother: William Robert “Bobby” Moore of California, KY; and sisters: Evelyn “Connie” Moore Bellanca of Florence, KY, and Carol Roberts of Cincinnati, OH. He was preceded in death by his mother Evelyn Hall, and father Taylor Jones. Visitation for Mr. Moore will be Tuesday, February 5, 2019, at the Marvin E. Owens Home for Funerals from 6pm-9pm. Funeral will be held Wednesday, February 6, 2019, at Woodhead Funeral Home at 11am, with Bro. Tim Hampton officiating. Burial will follow in the Williamstown (North) V.A. cemetery.